The D-ERASE EPROM eraser holds up to four UV erasable eproms in 24, 28, 32 or 40 pin DIP packages. 42 pin eproms may also be erased, however the parts (2 maximum) must be inserted parallel to the eraser body. A small drawer holds the parts during the erase procedure. The eraser has an adjustable timer which turns off the lamp when the erase process is complete (2 to 24 minutes). It also emits a low intensity beep indicating that erased parts may be removed. 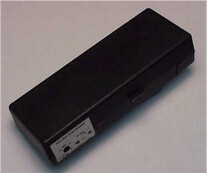 The eraser is powered by a 24 volt DC power pack which is included with the eraser package.